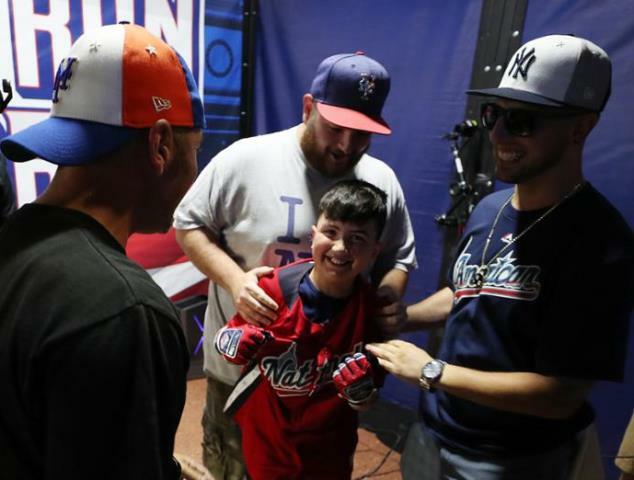 As Chuck Smolka, a nine-year-old from Staten Island won the first-ever MLB Home Run Derby VR Tournament Championship, held as part of GEICO All-Star FanFest, MLB reports that his performance in the final round on Monday , which at the time on Monday ranked as the top live streaming video on Twitch.TV with more than 120,500 concurrent viewers. In addition to Twitch.TV/MLB_Games, Monday’s competition was live streamed to multiple platforms and featured commentary from MLB Network’s Alexa Datt, gamers and content creators RealShelfy and Fuzzy and nine-time MLB All-Star Fred Lynn. Overall, more than 3,000 fans of all ages visiting GEICO All-Star FanFest and PLAY BALL Park from Friday to Sunday attempted to qualify for Monday’s 32-person bracket-style competition, in which fans had 90 seconds to hit as many home runs as possible using a proprietary VR bat controller.